[This is a long article explaining how Baidu paid search has contributed to the proliferation of a wide network of shonky clinics for 'sensitive' conditions such as STDs, Infertility and Gynaecology]. A Shanghai media outlet has exposed what it says is the all-too-common practice of dodgy hospitals paying large sums of money to get the top Baidu search rankings - and then overcharging patients for shonky treatments. The IT News cites the case of a woman called "Snow" who paid 30,000 yuan ($5000) for an operation to treat uterine fibroids at the Shanghai 85 Hospital after seeing it came top of the rankings when she Baidu'd her symptoms. However, after her condition worsened and the woman went to another public hospital, she found that she had been grossly overcharged for unnecessary and harmful treatments. The article then reveals that dubious private clinics and hospitals such as the 85 Hospital pay Baidu as much as 90,000 yuan ($15,000) a day to be listed as the top result for 'gynaecology hospital' on China's most popular search engine. The article says its undercover reporter discovered that the 85 Hospital had set up 13 different Baidu accounts to pay for the top result ranking for various medical keywords. 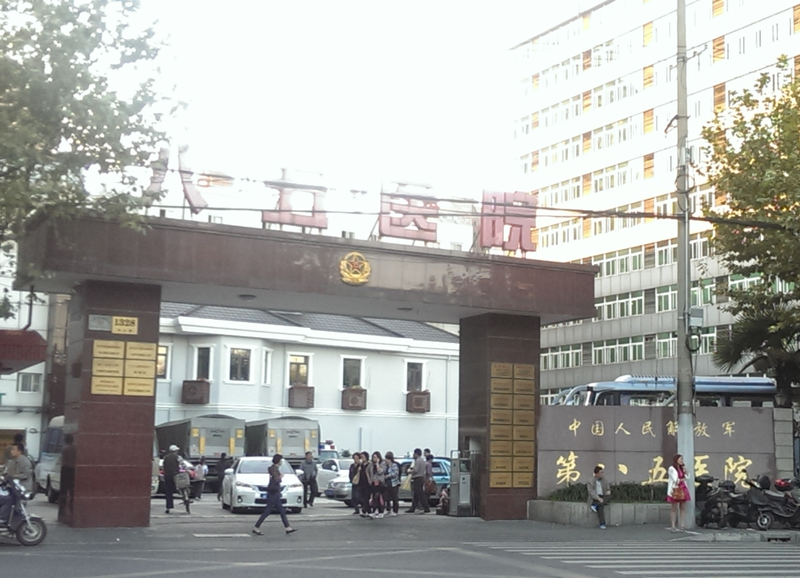 The information accompanying the search results claimed that the hospital was one of Shanghai's most prestigious institutions with a history of 66 years. In reality, however, the '85 Hospital' was just one floor of a PLA-run hospital that had been leased by the Putian Group of private clinics. The trouble for the 43-year old Ms Snow started in 2014 when a routine work medical revealed she had uterine fibroids and an ovarian cyst. When she searched on Baidu for these symptoms she saw the 85 Hospital had the top ranking and its gynaecology department was supported by many glowing testimonials. When she consulted a doctor there, at a cost of several thousand yuan, she was told that the fibroids and cysts were worse than she had been told, and that she also had other pelvic problems. However, the doctor told her not to worry and reassured her that these could be cured with surgery. She went ahead with the surgery, being billed 17,000 yuan, of which she could only claim 3000 on her state medical insurance. (She was told beforehand that it would only incur 2000-3000 yuan out of pocket costs). Ms Snow was also called back for repeat follow up treatments to diminish inflammation, at a cost of 800 yuan per session. Her total outlay was 32,000 yuan. Two months later, Ms Snow still had bad pelvic symptoms and went for a second opinion to the reputable Fudan University hospital gynaecology department. The doctor there told her she had premature menopause, and the condition was likely brought on by her recent operation. He was unable to judge on the appropriateness of her treatment because she had no medical records. However, when she mentioned the 85 Hospital he shook his head and said it sounded like a private 'contract clinic'. When Ms Snow looked back on her experience at the 85 Hospital she began to suspect it was strange - as she had had to register in a separate office from the usual public patients - and all the offices and clinics were separated on the 4th floor. She had been accompanied by a nurse the whole time to pay for treatment, and had been prevented from mixing with other patients. However, it was odd that she she had not been offered overnight recovery time at the hospital, which is usual practice for such a serious operation. The doctor explained that gynaecology clinics were known as 'gold and silver' clinics to unscrupulous operators because women were embarrassed to talk about such complaints treatments and were easily persuaded to have unnecessary treatment. When the IT Times followed up her case, it discovered that all the gynaecology keywords in Baidu automatically led to the "85 Hospital". It found that visitors to the 'public hospital' were asked about Baidu and then directed to the 4th floor where they were registered at a separate office from public patients. In the waiting room, the undercover reporter met other women who said they had been charged large amounts of money - typically 7000 yuan - for simple treatments that would usually only cost 2000 yuan in a public hospital. 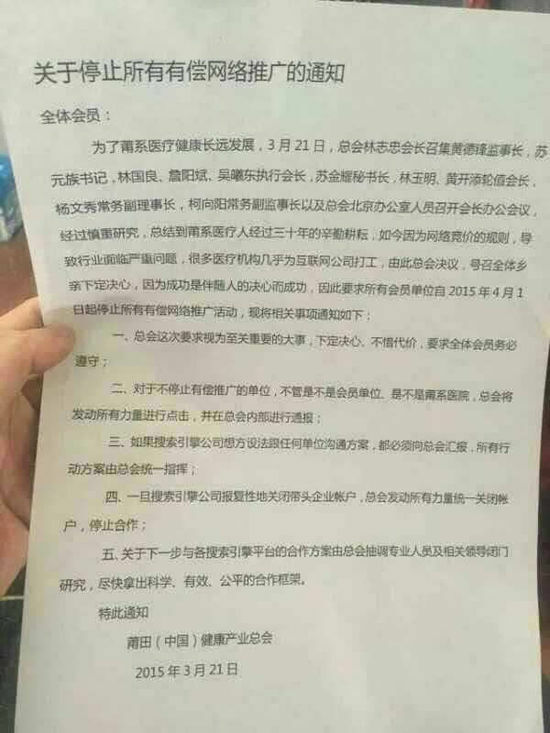 All of them had been directed to the clinic from Baidu and many had already spent several thousand dollars. 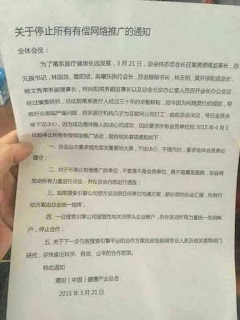 They believed the clinic was reputable because of its high Baidu ranking and the testimonies there. The undercover reporter was seen by a female Dr Huang, who had several professional certificates on the wall. After a cursory examination, Dr Huang referred the female journalist for an ultrasound, which shes aid showed major pelvic abnormalities. The treatment would involve surgery and the undercover 'patient' was advised to make a booking. However, when these scan results were taken to another hospital, the doctors said the scan was normal. When the IT News reporter tried to make a complaint about the 85 Hospital at the city health department, she was told that the hospital was PLA controlled, and the department had no supervisory role over the hospital or the staff who worked there. The reporter then investigated why the hospital came top of the Baidu listings, and found that the listings were all marked as 'promoted', meaning that they were effectively paid advertisements. Strangely, there were many listings under different addresses but all led ultimately to the 85 Hospital website and 'information inquiry' hotline. A 'WHOIS' search on the different web addresses showed that the registrant was a group know as the 411 doctor's group, which in turn was linked to the PLA 411 Hospital. An admin address was traced by a reporter to a backstreet cosmetic surgery clinic called the "Meilian Beauty Centre". These clinics were in turn linked to an investment group know as the Shanghai MingAi Group. Undercover enquiries about employment opportunities with this group were refered back to the parent company in Taizhou, Jiangsu. According to the company records, the shareholders are Ling Fengyu and Sun Jinping. They were linked through another company, Shanghai Venus, with someone called Lin Chunguang. This in turn is listed as the same address as the Putian Medical Company boss. Further checking showed that all the former clinics and hospitals are listed as Putian subsidiaries. This situation resembles the 2007 incident over a 'fake' Harmony Hospital. At that time a Shanghai Harmony Hospital was set up, which many assumed to be a branch of the renowned Beijing Harmony Public Hospital. However, it turned out to be a privately run venture recently set up by Putian's Lin Chunguang. The hospital was de-registered after it was found to have been providing overdiagnosis, overtreatment and overcharging of female patients at its Fertility Clinic. At that time Putian's Lin Chaungwang was spending hundreds of thousands of yuan on advertising for his clinics. All that has changed in the last eight years is that he is now channelling this advertising through online sources such as Baidu. Investigations by IT News found that the 85 Hospital is paying about hundreds of thousands of yuan in fees to Baidu trough 13 different advertising accounts for the medical keywords related to gynaecology problems. For every click by a consumer on a keyword, the company must pay several hundred yuan (145-212RMB). In addition, the 85 Hospital has paid Baidu for a prestige 'verified' title on listings, which costs an additional 5600 yuan per title. When the reporter asked about this 'V' verification procedure with Baidu's Zhendao and Guojing Information agencies, she was told that PLA and Armed Police institution were not allowed to undergo such verification, but this could be worked around. On the Baidu site the reporter scrolled through seven pages of search results for 85 Hospital without finding a single negative review. All were fulsome in praise for the 85 Hospital. However, from the 8th page onwards it was continual negative reviews of the hospital by users. This is an example of Baidu having its search results customer weighted. Interestingly, the 'promoted' 85 Hospital has 3000 reviews saying that it is a '5 Star" institution, whereas the non-promoted Fudan University hospital has only 51 reviews. Baidu says its star rating system is automated and resistant to human manipulation. However, one internet rating and review 'specialist' said fake reviews were offered for 1.1 yuan per review. Another internet services company contacted by the reporter said they had offered similar review 'paid review. services to other private clinics. They said they could offer website setup and hosting quite cheaply, but Baidu search result manipulation would cost a lot more. He said the price for setting up a search manipulation service would be about 90,000 yuan a month for top health sites such as hospitals. His financial model was to start with a monthly spend of about 50,000 yuan, which would get a 1:1 return, increasing over a year to about80-90,000 yuan a month, with a return of 1:3.5 on investment for a hospital. All this may be about to change after the now famous spat between Putian and Baidu over 'compensated search' advertising for Putian network clinics. 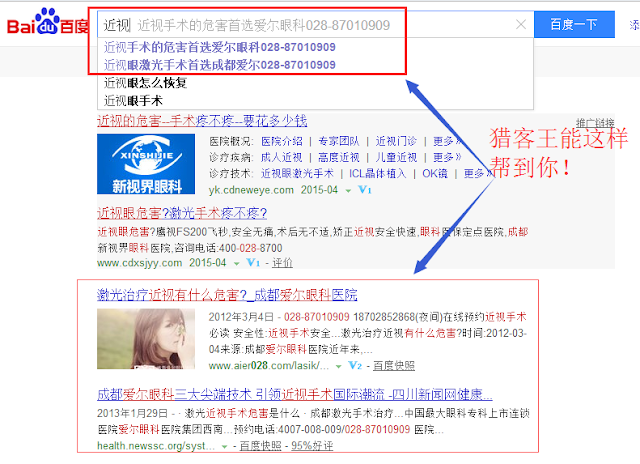 Putian clinics said that they were halting all advertising in protest at being overcharged by Baidu, but the search engine said it was cleaning up its search results to eliminate unauthorised health clinic advertising. Nevertheless, when IT News tried entering search terms synonymous with Putian clinics such as "men's illness" [STDs], "Fertility Clinic" and "Gynaecology Clinic" all the top results were still for private clinics of the Putian chain. It seems the advertising boycott proclaimed for 1 April has yet to start in reality. 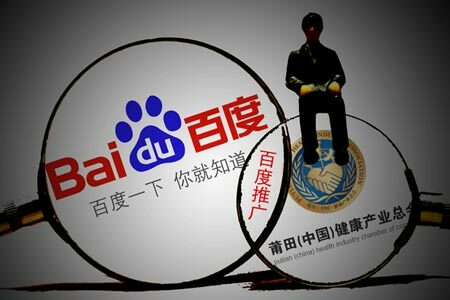 In 2013 the party secretary for Putian city said the healthcare companies based in the city spent 1.3 billion on internet advertising for their national chains of clinics and hospitals, which represented about half of Baidu's revenue. They also represented the biggest source of patients to the clinics. According to Baidu, its revenue from online advertising and paid search was 3.2 billion yuan, of which healthcare was just one five main areas that contributed to 54% of revenue. In 2014 Baidu CFO Li Xinzhe said he expected healthcare to be one of the top contributors to revenue. This year so far Baidu has increased its revenue by 34% on the previous year. Draw your own conclusions.